Comtrend’s G.hn Powerline with Integrated Power over Ethernet makes IP Camera installs easier. Comtrend, a leader in advanced networking technology, today announced its G.hn Powerline with Integrated Power over Ethernet has been chosen as the 2018 ESX Innovation Award winner in the cable and structured wiring category. 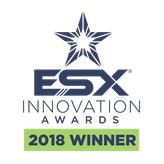 The ESX Innovation Awards is an industry competition that recognizes the most impactful and groundbreaking technologies for the electronic security and life safety industry. Comtrend’s G.hn Powerline with Integrated Power over Ethernet, the PG-9172PoE, is an ideal fit for security installations. This innovative application of two technologies reduces installation time and cost by taking advantage of existing electrical lines to simplify the deployment of PoE enabled devices, including IP security cameras. The G.hn Powerline Adapter eliminates the time and expense of installing Ethernet (CAT5e/6) cables to every device throughout the home or business. Additionally, the PG-9172PoE utilizes G.hn technology with MIMO and LDPC to reliably cross phases, resulting in higher speeds and greater stability. Comtrend’s PG-9172PoE will be featured on the show floor at the ESX Innovation Awards Showcase in Booth 707 as well as their own Booth 924 during expo hours, June 20-21, 2018. ESX will be held in Nashville, Tennessee from June 19-22, 2018.